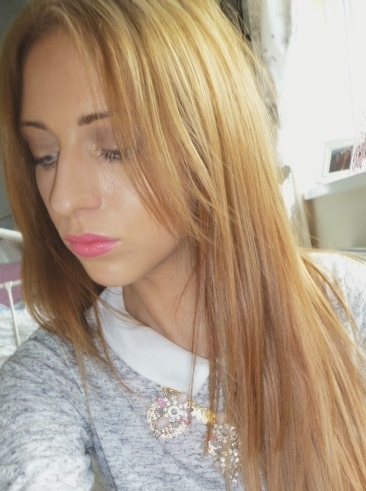 As you may know from my Summer Hair post, I’ve recently lightened my hair. It’s been getting brassy recently, and the purple shampoo has been drying my hair out slightly. 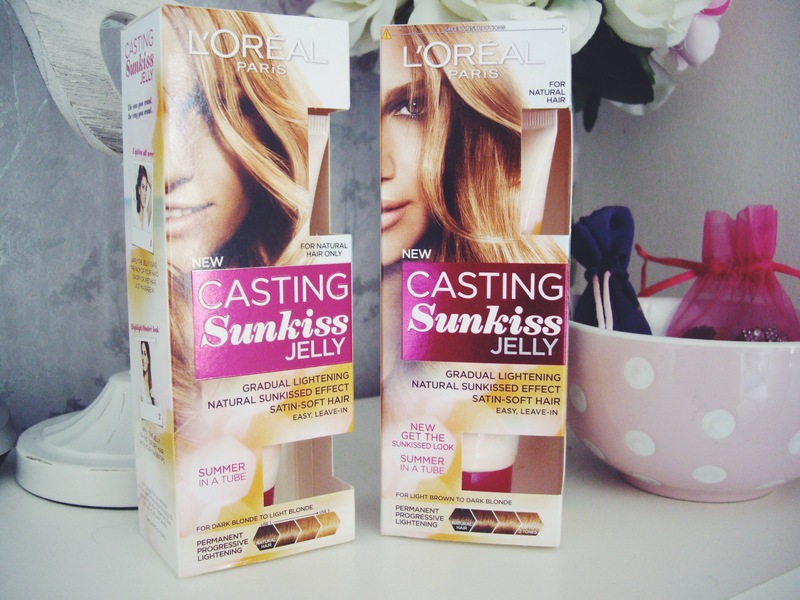 A little while ago, I saw the advert for L’Oreal Casting Sunkiss Jelly. I assumed this would only work on blondes, but after hunting it down in Boots I was surprised to discover that there was a choice of 3 shades; Light Brown to Dark Blonde, Dark Blonde to Light Blonde, & Light Blonde to Very Light Blonde. 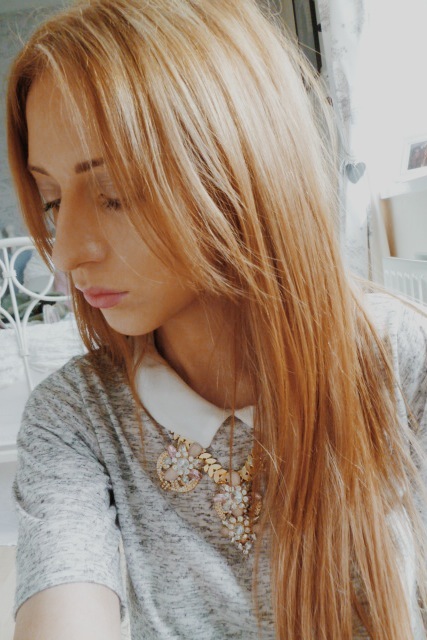 I tried the Light Brown to Dark Blonde to the ends of my old hair extensions, where I was pleasantly surprised to get such a natural but effective result. Then after buying new hair extensions, I wanted my own hair to blend nicely so I picked up the lighter Sunkiss Jelly shade; Dark Blonde to Light Blonde. I applied this one all over my dry hair from root to tip. The box advises you to use a hair dryer or put your hair in the sun to speed the lightening process up; I obviously went straight for the hair dryer. I dried my hair as much as I could, then popped it in a bun and slept in it for the rest to dry naturally overnight. The next day I gave it a wash, and my hair looked exactly as described on the box; sun-kissed. A couple more applications later, and I’m pleased with how it looks against my hair extensions. It’s not the perfect match, but it’s close enough for now and will blend in nicely when my hair’s wavy. Although this product contains hydrogen peroxide, I didn’t find it to be at all drying or damaging to my hair. When it’s first applied and dried, it can feel somewhat straw-like; however this can be washed out, and my hair felt silky smooth afterwards. I think this stuff is a great idea; I love the scent and there’s no worry of drastic results. It’s build-able and hassle free. Have you tried L’Oreal’s Sunkiss Jellies this summer? Wow! The result is amazing!